The folks over at William Grant & Sons like a bit of interesting marketing. 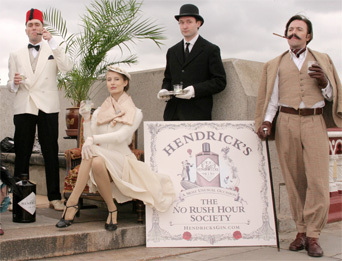 Their portfolio stretches outside of the world of whisky, with both Hendrick’s and Sailor Jerry Rum on the books, and over the last few years they’ve been doing some interesting things. We’ve had locked boxes of whisky sent out to a select group of whisky bloggers with Glenfiddich, sponsoring gigs and sending out samples to attendees in a box shaped like a book for Sailor Jerry (which I still think looks like Jailor Serry in their updated logo), and an array of entirely mad things with the folks at Hendrick’s, with their former sponsoring of The Chap Olympiad and ‘Horseless Carriage of Curiosities’ roadshow amongst other things. 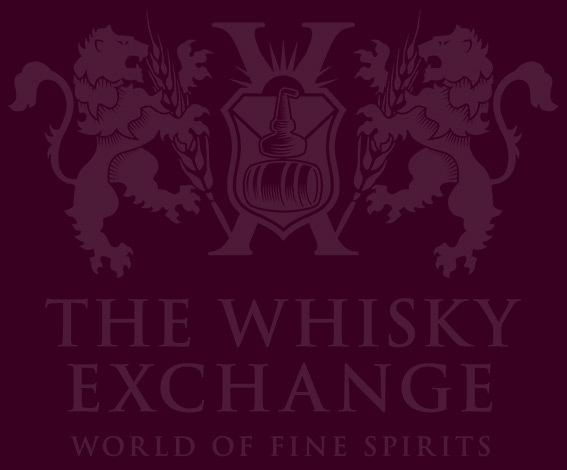 Now it’s the turn of The Balvenie to get a bit of the mad marketing treatment, following on from their recent Whisky Academy and the expansion of their Warehouse 24 club, in the form of The Balvenie Whisky Den. 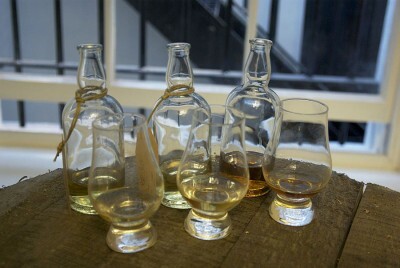 The plan this time focuses on Balvenie’s obsession with Craft. 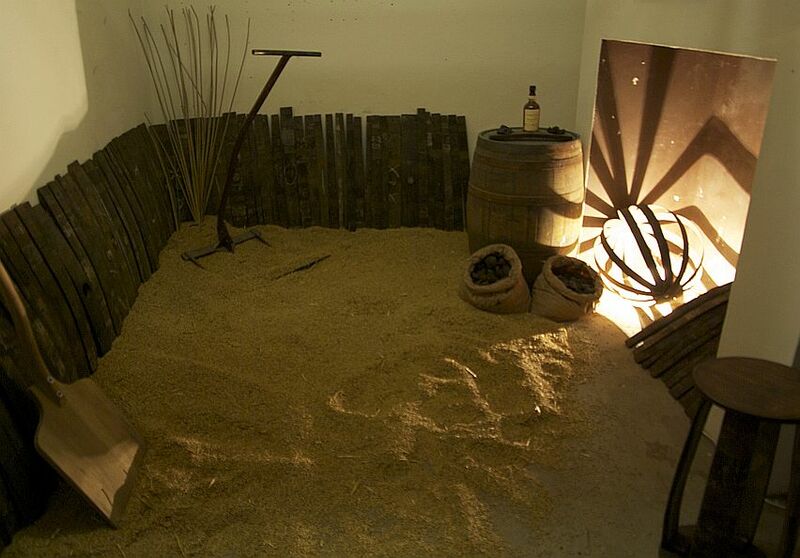 They have their own coopers on-site and bill themselves as a whisky made by craftsmen rather than a mass-produced spirit as many whiskies now are. To show this they have set up a pop-up bar near London’s Covent Garden and are still building it while people wander around with glasses of whisky. They started on day one with an empty pair of shop floors and over the space of the month that they are open they hope to fill it with the furniture and other adornments that you’d expect from a whisky bar. 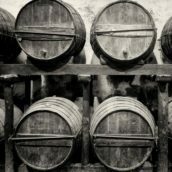 On my first visit on the Thursday of the first week they’d just hung a sign up outside (made out of a barrel top, naturally) and had a handmade bar, some lighting installations, some barrel racks, and some barrels for tables. The stairs to the downstairs were closed to punters and occasional sounds of building floated up the stairwell. It was a bit bare and not all that welcoming, although having a dram forced on you as you walked in helped on that front. Last week was the press launch, strangely a week and a half into the month. However, on arrival it very much made sense, with the bar clad in staves, pictures and shelves on the walls and the downstairs area slowly filling with stools (two barrel ends and some staves bolted together by the on-site building and design team) and tables (more barrel ends, staves and bolts), and grain (with half a ton delivered and a few more on their way to give an interesting alternative floor covering to the more traditional ‘carpet’). The plan is to continue the build through the month, tweaking the increasingly finished bar with more furniture, lighting and mainly whisky barrel related artworks, before tearing it all down at the end. I suspect we’ll see the bar, tables and stools appearing on the road with Balvenie in the future, but the rest of the place is temporary. Sweet fruits, oloroso sherry and vanilla on the nose. 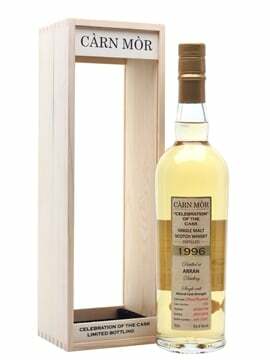 The palate is smooth, rich and mellow, with a nutty sweetness and hints of spices along with the sherry notes. The finish is long and warming. While the DoubleWood is rather nice, it’s the Signature that they’re paying a bit of special attention to. Created in 2008 to celebrate Master Blender David Stewart’s 45th anniversary at Balvenie, it’s his ‘signature blend’ of Balvenie’s malts, bringing together sherry, first fill and refill bourbon casks to create his distillation of the idea of Balvenie’s whiskies. One of the things they get you to do at the distillery is to try and make your own version of Signature, giving you cask samples from the three different cask types and a glass to do some mixing in, and The Whisky Den has brought this experience down to London. 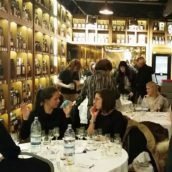 Last Friday night I visited with the London Cocktail Society to see how some mixed spirits fans would fare in the world of malt whisky blending. Rather annoyingly they did rather well, with Team Backstage’s winning blend veering away from the Signature’s flavour but staying in tasty whisky territory. What could be easier than a 3 ingredient recipe? Nose of sweet caramel, toasted coconut and brioche. Vanilla cream, spicy wood, fresh cut wooden boards, pear drops and sherbet. A long finish with a hint of lemon. Lime, brine and vanilla sponge on the nose. A grown up lemon cake? 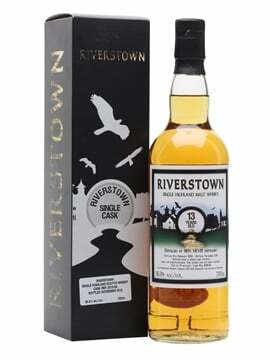 Flavours of citrus, caramel, light wood smoke and spicy syrup, backed up with an alcoholic punch. Water calms it a little and adds sweetness. The finish is long with syrup and a hint of salt. 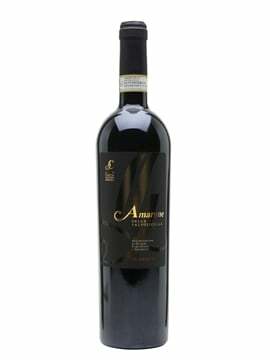 Sour but rich vine fruit and marzipan on the nose, sitting on top of a spicy, meaty, sherried wood note. Buttered slices of cake with cinnamon and plump dried fruit to taste. Long finish of Christmassy liqueur – mincemeat, Christmas pudding and rich fruit cake. Hints of fruit, nail varnish and meaty Bovril on the nose. 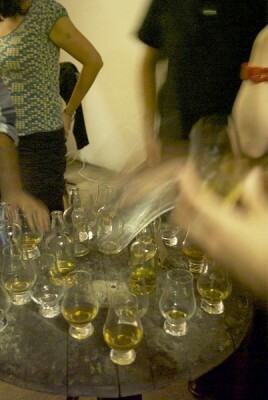 A palate of caramel, vanilla, popcorn and woody spices, with more sweetness brought out by water. A long finish, sweet and woody. So, get down there before the end of the month if you can. Along with the welcome dram of DoubleWood they also have bottles of Signature, Single Barrel and Port Wood available to taste, and they have guided tastings every Saturday, although you’ll need to pop in to book a place. The deconstructed Signature tastings are available on an adhoc basis but you’ll need to be a member of their Warehouse 24 club, which they’ll happily sign you up to onsite. The Balvenie Whisky Den can be found on Google maps here, and in the real world at 34 Tavistock Street, WC2E 7PB, near Covent Garden. It’s open from 1pm-8pm (although they’re often open a bit later depending on how many people turn up) and it closes for the last time on June 5th. I got the 12yo double wood and must say it is my favourite “normal” whisky. I also own the Golden Cask and love that. Have tried the 10yo Signature which is also very good and the 21yo port wood which I did not like. They have a few other bottles hidden behind the bar, so I got to have a taste of the Port Wood for the first time in ages – I rather liked it, but recently I’ve found myself liking almost every port finished whisky I’ve tried (although the ones I didn’t like I REALLY didn’t like). I tried the Golden Cask a while back and found it a bit boring. I think I need to have another go as my tastes have recently turned back to the sweeter Speyside end rather than peaty face punches.